Few things in life feel more demoralizing than a massive amount of credit card debt. Every time you buy something, you’ll feel a twinge of guilt, knowing that you’re simply adding more to the balance. Since credit card interest rates are devastating, you’ll never come out ahead on your finances until you’ve paid off all the money you owe. Here are four essential Android apps to help you clear your credit card debt. The name of the app should tell you what the focus of it is. The specific design of this software is to eliminate your debt, not simply reduce it. ReadyForZero offers tutelage in how to attack your debt aggressively. It shows visual displays of the hidden expense of credit card debt, which is the annual revenue from interest fees you’re paying bankers. The software will devise a plan to pay down your bills as quickly and conveniently as you can afford to. It’ll also send you achievement packages when you hit certain milestones, such as 25 percent of your debt paid. ReadyForZero provides three tiers of service. The free version helps you build a custom payment plan and tracks your progress. The $10 per month version will actually make payments for you. It’ll perform single transactions or recurring bill payments, depending on your needs. It also teaches users how to change from monthly to bi-weekly payment schedules, increasing the number of annual credit card payments from 12 to 26. For $15 each month, you can add the benefits of credit tracking, which is money well spent for most debt-ridden consumers. Plus, this package offers a debt freedom plan written specifically for the individual. Are you familiar with the Debt Snowball Method of repayment? Vaunted financial advisor Dave Ramsey champions this strategy. Even if you don’t know about it, you should quickly grasp the concept. A piece of snow evolves into a snowball because it starts small but then picks up speed and more snow as it rolls down a hill. The same tactic applies to debt management. The underlying premise is that you should pay off your debts in order of precedence. You don’t rank them by the interest rate, though. That’s a popular misconception. Instead, you should prioritize paying off the smallest one, then the next smallest, and so on. Using this tactic, you’ll reduce the number of bills you have to pay each month, increasing your spending power for the rest of your debt. Debt Manager is an app that adds the appropriate functionality to follow this strategy. It’ll assess which of your bills is the easiest to pay. Then, it’ll perform computations to tell you how quickly you can eliminate each of your debts. You can use this suggested timeline to evaluate your debt status. Debt Manager is only $0.99 as a download at the Google Store. It’ll be the best dollar you ever spend. 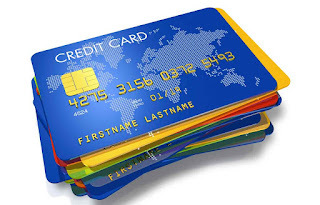 A subtle way to reduce your credit card debt is to enhance your current spending power. Every dollar you save while shopping is another dollar you can negate from the amount you owe. This app will update you on every potential deal on the items you buy regularly. Get in the habit of taking Coupon Sherpa with you on your smartphone everywhere you shop. Use the Samsung Galaxy Note 5’s 5.7-inch display to find coupons for what you’re buying, show the cashier, and you’ll pay the lowest amount possible every time you shop. Tracking your daily expenditures is a critical part of debt reduction. If you’re spending too much of your income on things you don’t need, you’ll never eliminate your debt. Instead, you’ll pay credit card companies copious amounts of interest for years to come. Monefy attacks the problem in a clever way. It requires you to input every purchase you make into its system. Then, it identifies the wasteful parts of your daily lifestyle. Using this information, you will learn how to cut your daily expenses, giving you money you can direct toward your outstanding debt. Getting out of debt can feel like a grueling process. When you download the apps above, however, you’ll feel like you’re taking control of the process as well as your own life, and you’ll have the power to clear your debt.